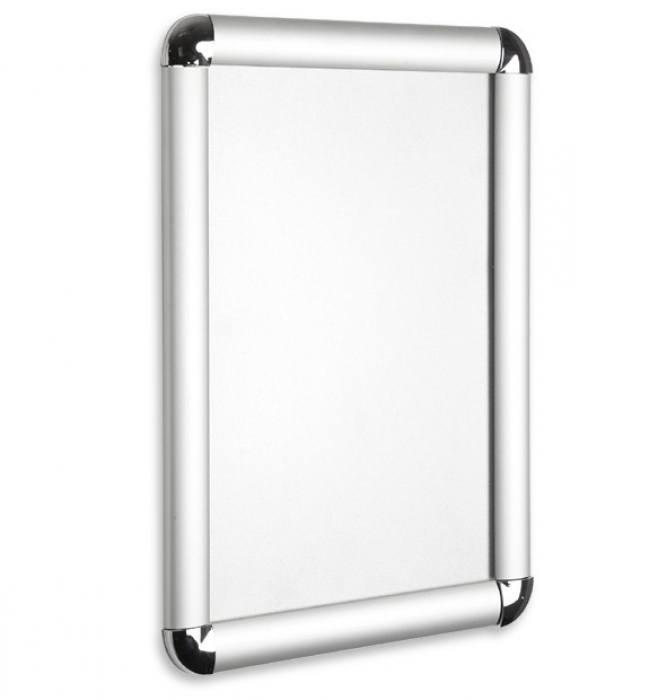 These 25mm extruded aluminium snap frames are manufactured with round moulded chrome corners and feature a silver anodised frame finish as well as easy poster access with the snap open and close system. This profile is recommended for indoor use but can also be suitable for some outdoor applications. 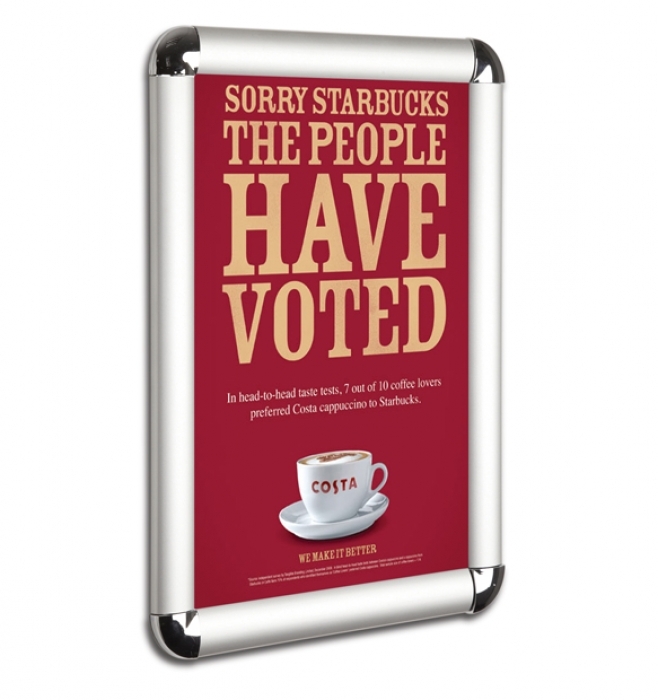 1.5 mm strong plastic back panel, anti glare poster cover & wall fixing kit are supplied with this poster snap frame.